Crystal-Gold glass with pink detail. On request, available in any color. 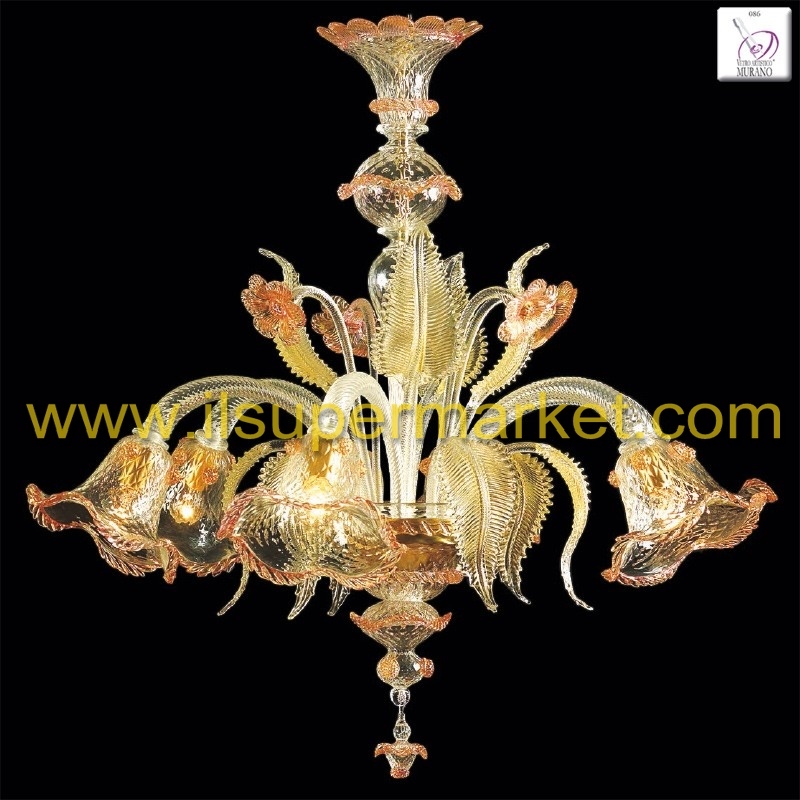 Chandelier entirely handmade in Murano glass by our Master glass. Artistic Murano Glass certificate.